BeritaIndependent.Com | The effect of Veronica Koman’s protest oration for Ahok in Cipinang on Tuesday, May 9, 2017 is getting worse. Tjahjo Kumolo as an Interior Ministry claimed that her oration is a provocation and threatened to report it to the police. 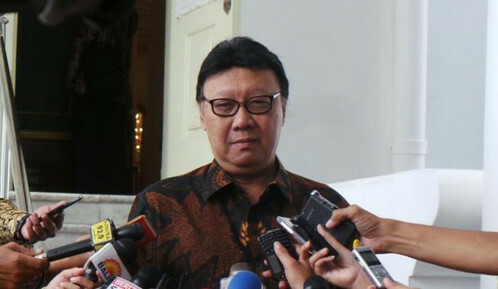 “I will send her a letter immediately to explain, clarify about her provocation statements and her defamation to Jokowi with inappropriate words in a week,” The Minister said on Thursday, May 11, 2017. Tjahjo Kumolo gives her a week to clarify her statement. If she pays no attention to clarify it, he will report that case to the police. According to Tjahjo, this will be a valuable political education for everyone not to curse, defame the president or anyone without evidences. “Defending Ahok is a right but do not blame President Jokowi and his regime” He said. “Ahok’s supporters was angry and cursed the President because Ahok has been defeated in DKI Jakarta election then jailed? I will pursue and oppose her. Your tongue is fire!” He said in a text message to the reporter on Thursday, May 11, 2017. Just information, Veronica said that Jokowi’s regime is worse than SBY. But other protesters didn’t agree with her statement. “Do not take the name of Jokowi and do not blame his regime,” one of them shouted enraged.